When I first started out using makeup, I thought primers were a waste of time and I didn't see the point in the them. Somewhere along my beauty journey, I found a few great primers that really did extend the wear of my foundations and now I almost always wear a primer underneath my makeup. Thus, I was pretty stoked to find out that I was selected by Influenster to trial the new YSL Touche Éclat Blur Primer* and Blur Perfector*. 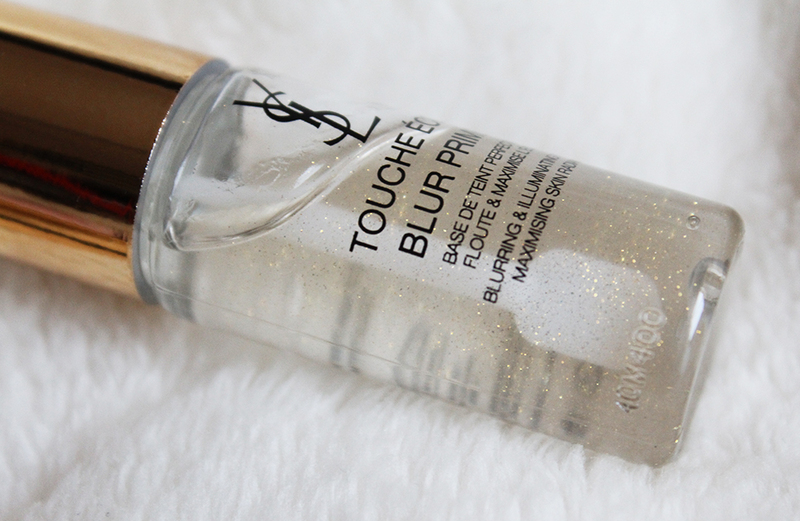 The Touch Éclat Blur Primer is a more traditional primer that you wear under your makeup. It claims to be an illuminating primer that blurs imperfections and boosts the radiance of foundation. As you can see, there are loads of glitter particles suspended in the primer and a few specks will translate onto your face and show up even after you apply foundation. I don't really see an overall illuminating or radiance effect and I don't think the glitter particles do any favors. The primer does fill in my pores a bit and helps my other makeup go on smoother. My makeup stayed in put for the most part but I did get a bit oily by mid-afternoon so this is not ideal for someone who is looking for an oil-controlling primer. The primer feels like a lightweight silicone gel and has a distinct floral scent that actually smells very genuine. The full size product contains 1 ounce in a beautiful pump bottle and retails for $52. It's definitely a luxurious primer in terms of cost but in terms of results, you can find less expensive alternatives that do the same thing. 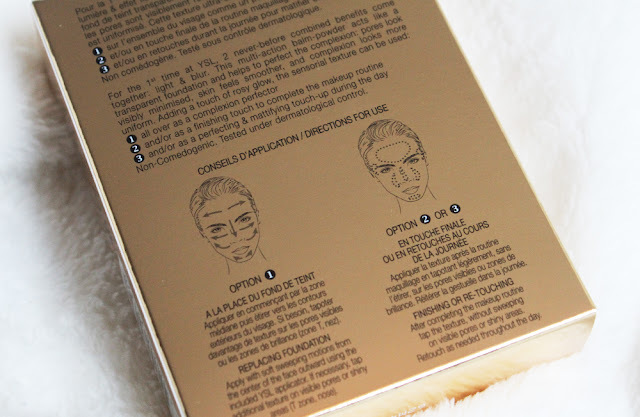 I was more intrigued by the Touche Éclat Blur Perfector because I have never used a balm to powder product to set my makeup before. This looks, feels and applies like a solid primer so it was a bit strange to apply something that felt like a primer over my fresh makeup. 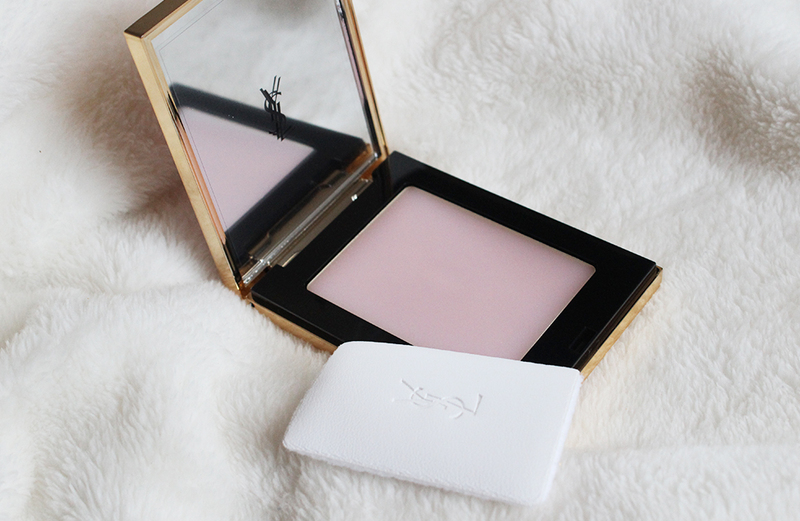 I can't gloss over the stunning pale pink and gold compact that holds the equally pretty pink balm. The product comes with a black felt pouch and a flocked cloth applicator which annoyingly doesn't fit into the compact. 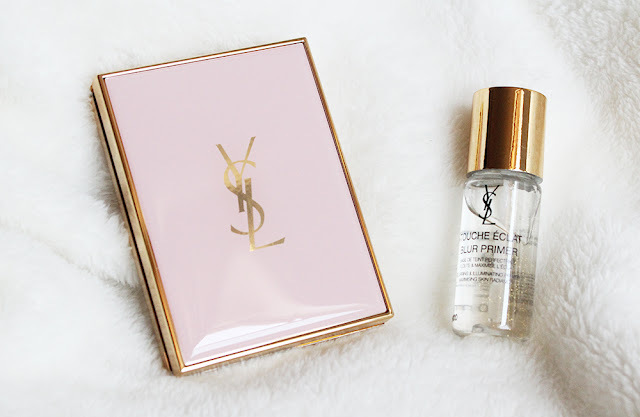 I wish YSL would have made the case a bit bigger so an applicator could fit inside. This retails for $55 for .33 ounces which is a pretty penny. The Blur Perfector says it can be used in three ways: as a "complexion perfector" on its own, as a makeup finisher or a mattifying touch-up through the day. On it's own, the product won't impart any coverage so unless you have flawless skin already, this isn't going to do much by itself. Over makeup, this takes down shine without looking dry and the balm leaves a silky finish. Again, there was no discernible illuminating effect although there is some microshimmer in the balm. Unfortunately, on my oily skin, this didn't last throughout the day and I could feel the makeup sitting on my skin. I still prefer powders to set my makeup and think they're more sanitary. Perhaps this is a product I need more time to get used to but for now, it's something I'll admire more on my vanity rather than one I'd run out to purchase again. Have you tried the new YSL Touch Éclat primer or perfector? Have you tried a balm setting product before? If so, what's your favorite method of application and do you prefer it over a powder? *The products mentioned in this post were sent to me by Influenster for review purposes. I am not being compensated for this review and all my thoughts are 100% honest.